Kahu Kahealani Kawaiolamanaloa Satchitananda has been blessed to be granted permission to have a John of God Crystal Healing Bath at her Hale Malamalama Ola Pono Hawaiian Holistic Healing Center on Big Island and Honolulu, Oahu. 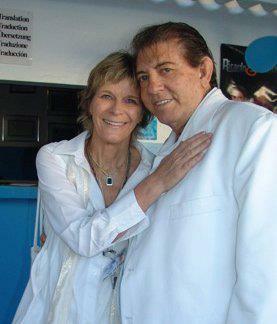 She will also be happy to serve and assist you in John of God Distance Healings. Treat Yourself to The Ultimate Nurturing Life-Enhancing Experience Today! Treat Yourself to The Ultimate Nurturing Life-Enhancing Experience! $170 value When You Mention "Unity of Hawaii"
Perpetuating a Powerful Integration of Ancient Lapa`au Wisdom and State of the Art Vibrational Healing Modalities for Rejuvenating, Relaxing, Cleansing and Revitalizing Mind, Heart, Body & Spirit! We have Amazing Nurturing Crystal Healing Baths, Infra Red Sauna, Alkaline Water, Current Room, Hawaiian Blessings, Hawaiian Seawater Cleanses, Ho`oponopono `I`ike Preventive Protocols for Maximizing Relaxation and Wellbeing as well as Symptomatic, Diagnosed Protocols and Distance Healing Protocols for Restoring Health and Wholeness. Clients are continuously amazed at their profound experience and tangible results which are unique and specific to each person. Kahu Kahealani Kawaiolamanaloa Satchitananda, Director and Cross-Cultural Ho`oponopono Practitioner is humbly grateful for the honor of having been given the rare and special permission to offer the Crystal Baths here at Hale Malamalama Ola Pono by John of God, a renown international healer of Brazil who has helped thousands of people. 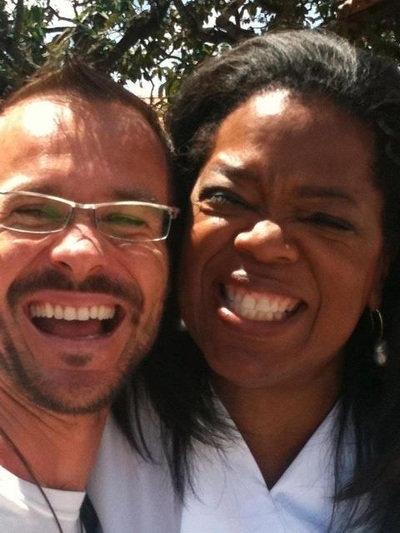 He was recently featured last November on Oprah. Call for Your Gift of Life Now! Life Is Sacred!!! Cherish It!!! The concept of the Crystal bed also called crystal bath therapy was channeled to John of God who then had it developed for practical use and incorporated it as an important healing modality at his healing center affectionately known as "the Casa". For visitors to the Casa, the Crystal Healing Beds are available to all and are prescribed by the Spiritual Doctors/Entities (Healing Spirit Guides) of the Casa for rejuvenation, alignment and balancing of the our energy fields, which in turn aids in the process of spiritual and physical healing. 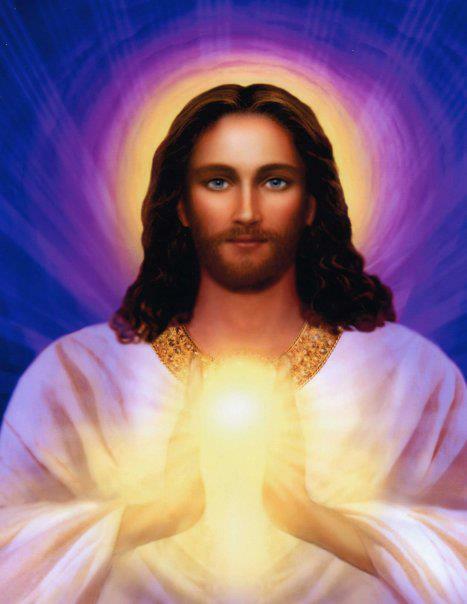 When you walk before John of God during his "incorporation" by the entities for a healing, he either prescribes: visible or invisible surgery, sitting in the Current Room, taking Herbs, receiving a Crystal Healing Bath, or receiving a cleansing under the Sacred waterfall. What is a Crystal Bed? A crystal bed has 7 extremely clear and highly polished Vogel cut quartz crystals suspended approximately 12 inches above the client lying on a massage table. Each of the quartz crystals has been cut to a specific frequency. Each crystal is aligned above one of the seven human energy centers or chakras. Colored lights, chosen to match the frequency of chakra colors, radiate light and energy through the crystals to each respective chakra, and shine on and off in certain rhythms to cleanse, balance, and align your energies. The individual receiving the session rests face up with eyes closed, bathing in the energy. How is this a portal? In addition to the healing power of the crystals and color therapy that the bed provides, the spirit entities of the Casa are able to use this device as portal so that they may more easily make their presence felt to those who seek their help in healing. Thus, those using the bed often receive healings from the entities, one of 6 spirit master doctors or sometimes hear inner guidance from them. How do I prepare for my Crystal Bath? You need to do nothing. However, for the best results, simply maintain an attitude of openness and receptivity. It is also helpful, but not essential, that you form a specific intention or prayer of what you want help with. How is a "Crystal Bed Healing" Session conducted? "Crystal Bed Healing" is safe and non-invasive. The person receiving the "Crystal Bed Healing" simply removes their shoes, and glasses then lies fully clothed, on a massage table below the suspended crystals, so that each of the seven crystal aligns to the their corresponding chakra. Once the person is comfortable, a white cloth is placed over their eyes, soft music is turned on, and finally the pulsating lights shining through the crystals is turned on. All the individual need to do is to relax, let go, or even fall sleep. The light, the crystals, and the healing spirit beings will do the rest. People feel all manner of sensations during and after sessions - pressure, weight, lightness, heaviness, hot, cold, wind, all manner of body sensations, tickling, tingling etc. The crystals can evoke feelings of peace and serenity, and typically a very deep relaxation. You may simply fall asleep and wake up feeling very refreshed and renewed. You may experience insights and release of specific personal issues and memories. You may have feelings of warmth, movement, expansion, cleansing, or a feeling of being touched. Some people feel sensations of physical healing taking place, as they feel the presence of the Spiritual Doctors/Entities working directly on their physical bodies. Your awareness may even extend beyond yourself to higher states of consciousness. How does the "Crystal Bed" produce Healing? The "Crystal Bed" combines the power of Color Therapy and Crystal Healing Therapy. This energy stream produces beneficial stimulation on many physical and energetic levels of being. 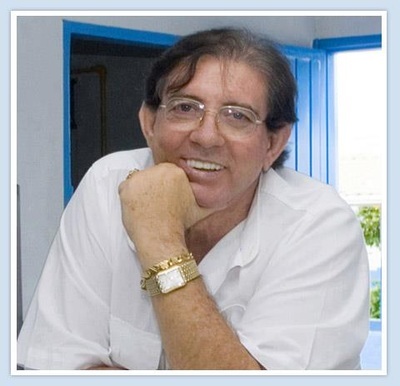 This combination of healing energies is further and GREATLY ENHANCED, by the "Healing Spiritual Doctors/Entities" of the Casa de Dom Inacio. 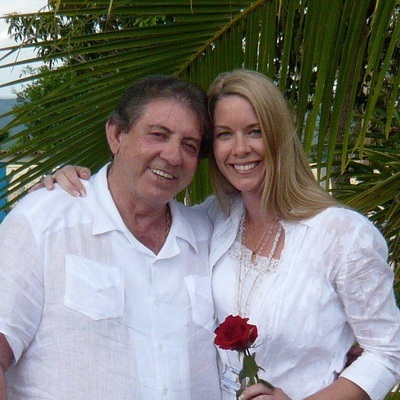 These Healing Entities are the Spiritual Beings that work in and around the Casa de Dom Inacio and with all those deeply connected to the Casa family. These are also the Spiritual Doctors/Entities that are incorporated by the Medium Joao Teixeira de Faria, also known as "John of God". The colored light shining through the crystals is a tool that the Entities use to channel their healing energy into the individual receiving the "Crystal Bed Healing". As the color is transmitted through the crystal onto the corresponding Chakra, the chakra is cleansed, energized, and brought into balance with all of the other chakras. This allows the other aspects of our self, whether it be mental, emotional or physical to be brought into balance. For when the chakras are out of balance, all the other aspects of ourselves will also be out of balance. Then as these subtle energies are brought into balance, the body's own natural healing mechanisms are able to function as they was designed to do. The "Crystal Bed Healing" cleanses, balances and recharges the body's energy and creates a deep relaxation. It is also a great preventative modality. What to expect after "Crystal Bath" Session? As with many of Subtle Energy Healing Therapies, no claims can be made that any disease states can be cured. 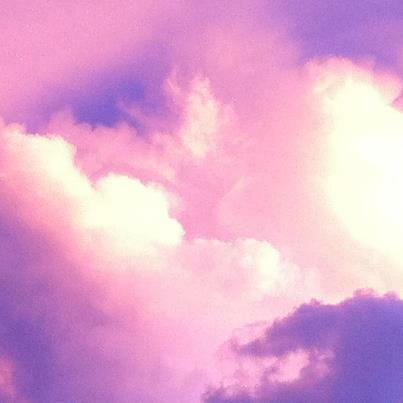 However there are many, many reports of healings occurring daily throughout the world. Healing can occur on many different levels, spiritual, mental, emotional, and physical. The crystal bed also can help open the connection with the Healing Spirit Guides. Each and every person who receives a "Crystal Bed Healing" reports a different effect, each experience being relevant and unique to his/her own condition, needs, and level of awareness. Many people who have experienced the crystal bed also feel themselves in an altered state after a session. Many say they feel the sensation of being worked on by spirits, some float back into past lives, and some a feeling of great attunement to spirit. The experience is totally individual. What do I do after a Crystal Bath? It is advisable for the individual to rest for an hour, after a "Crystal Bed Healing" Session to fully absorb the experience. It is also advisable to drink several glasses of water over the next several hours to help rid the body of any toxins or waste products which tend to be released through the cleansing action of the Crystal healing. It also can be helpful to write down the experiences and guidance which can occur during the healing session, to help integrate and ground the experience into your life. Sessions are either 20, 40, or 60 minutes. Sessions can be had every day if needed, however no more than one (1) hour of treatment is recommended in one (1) day. Initially, sessions are of 40 minutes duration for one in average health. This allows the individual to become accustomed to the effects of the "Crystal Bed Healing". Once comfortable with the 20 or 40 minute sessions, then the sessions can be extended. How often should "Crystal Bath" be had? The number of sessions someone has depends on the individuals' level of health, and their reason for having "Crystal Bed Healing" Sessions. If someone is very ill, then sessions can be as many as two to three per week until their level of health increases, then reducing the frequency to weekly and then to monthly. If an individual is having Crystal Bed Healing Sessions for a spiritual reason then one or two sessions weekly are adequate. At the Casa, the Spiritual Doctors/Entities often prescribe crystal-bed therapy. Providing the original Casa crystal beds outside of the confines of the Casa - with the specific recommendation and connection with the Spiritual Doctors/Entities - brings the energy and healing vibration of the Casa to you. John of God personally guarantees the energy of the Crystal Beds and thinks of them as his children. In addition, we carefully follow our own guidance from the Spiritual Doctors/Entities in how we use the Crystal Beds and work with our clients. Because space and time are an illusion, the Spiritual Doctors/Entities are able to be present here and work directly with those who seek their healing and guidance through the crystal beds. It is a special privilege for us to be able to serve you in this unique way, where you can receive the energy generated from this powerful healing tool without having traveling to Brazil. We also have two prayer triangles blessed by the entities which further connect your prayers to the Spiritual Doctors/Entities of the Casa. The crystals for the Crystal Bed were mined in a small town called Garimbo de Ouro in Brazil where gold and precious stones, quartz crystals, and amethyst lie beneath the surface of most of that area resulting in a profound energy emanating from the land. Joao Teixeira de Faira (John of God) says that the crystals making up the bed, were "born in beds of water, deep beneath the earth." They were extracted from the earth and personally selected and guaranteed by John of God. Each of the seven crystals came from a single stone and was carefully polished to exacting standards. Crystals have some of the highest molecular orderliness found in nature. Light passing through the crystal will resonate with the structured patterns of the crystal. 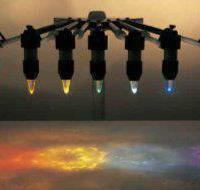 Water can take on a variety of molecular patterns. 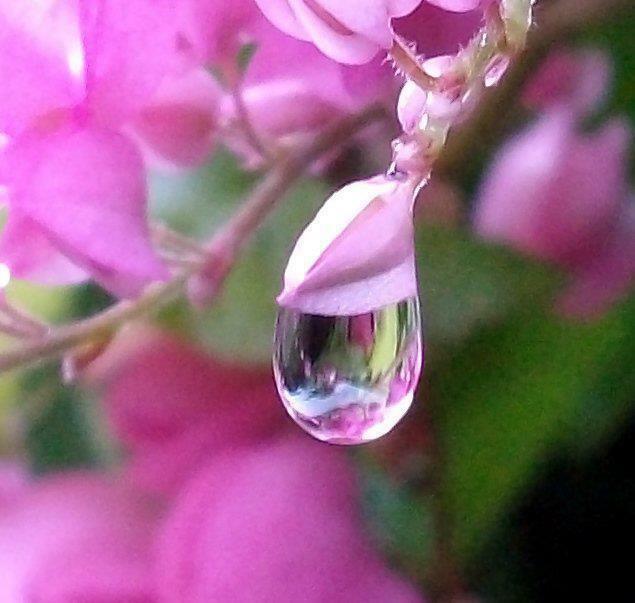 It is know that when water forms well organized and geometrically shaped molecule patterns, it has increased surface tension and bonding properties. This is the pure state of water found in healthy cell tissue, while ungeometric and disorganized water molecules are found in unhealthy cells and cancer cells. Thus, one explanation for the health giving effects of crystal therapy is that the well organized vibration resonating from the crystals helps to organize the water in our tissues and cells. Much of our understanding of crystal therapy was developed by Marcel Vogel, who spent his lifetime investigating quartz crystals. He designed experiments demonstrating the power of crystals to affect physical processes. 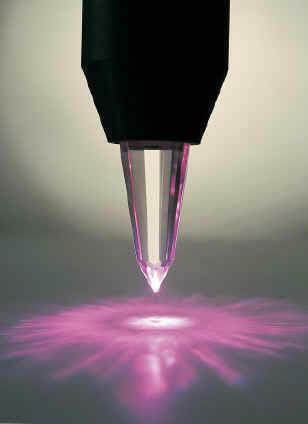 * A precisely cut quartz crystal produces a constant vibration of the same frequency as water in its purest state. * Moving water will pick up the vibration from the crystal through resonant interaction and this transferred charge will restructure the water. 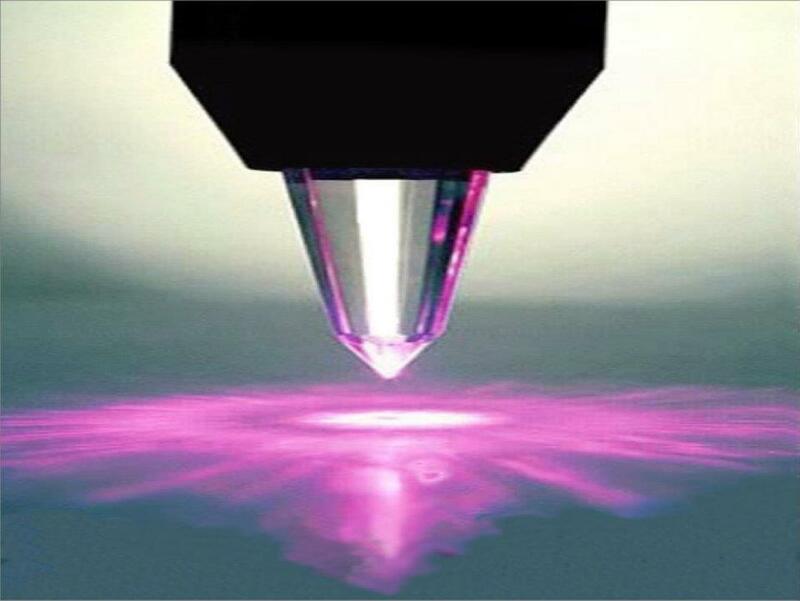 * A cut crystal can be charged with intent to structure water. Since we are made up of 90% water this carries strong implications for how our body and health can be effected. A Hawai'ian Ho'oponopono and Ho'omanamana Pule/Prayer Transmission of Sacred Mana/Divine Grace/Pure Aloha that supports healing the misperceptions of being separated from the Divine. Ho'omanamana Initiations offerings also available. How great is that!!! 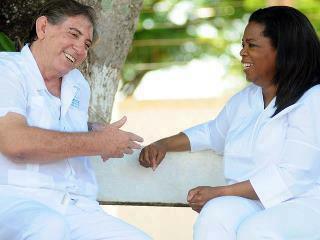 Oprah is at the Casa visiting JOHN OF GOD, INTERNATIONAL HEALER IN BRAZIL!!! She recently featured him on her show. The New Earth Is Being Born!!! 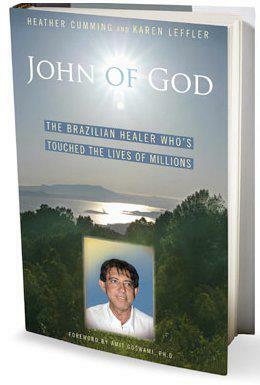 If you are interested in a Distance Healing by John of God for Mind, Body or Soul. Kahu Kahealani Sisson Satchitananda, founder of HALE MALAMALAMA OLA PONO Hawaiian Healing Day Spa, is here to assist you. If you are local, feel free to come experience the Amazing Crystal Bath blessed by John of God and imported directly from Brazil at The Casa De Dom Ignacio with his permission. FREE Crystal Bath Session & Introductory Personal Consultation for $35 ($170 value) if you mention FB.